Comics are a big part of any childhood in Korea. They’re perfect for lazy Sunday afternoons lying down on the living room floor mindlessly eating potato chips and taking a break to eat mom’s ramyun noodles. And this childhood dream can be relived in comic rooms aka manhwabang (만화방). Here they have ultra comfortable sofas you can lie down and have some food while renting a few comics for a cheap price. Comic rooms are great if you’re learning Korean. But even if you’re not, it’s still fun to look at comics of super heroes powering up to take down a few aliens. 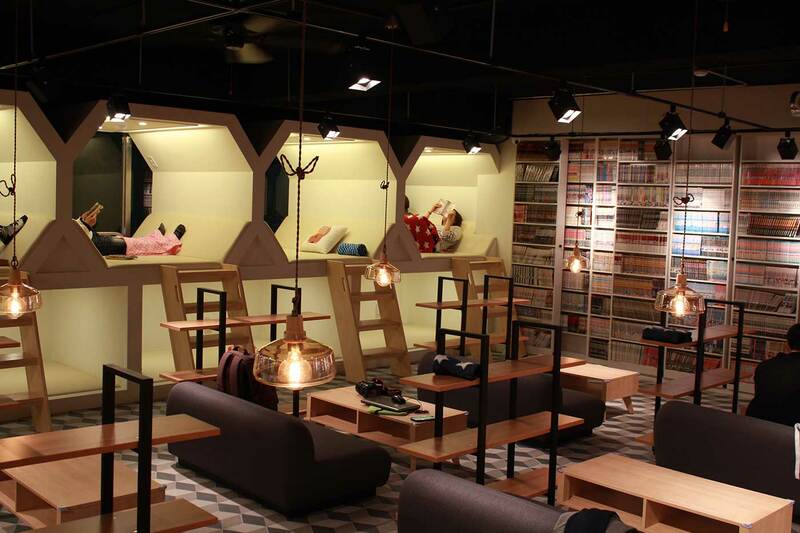 Better comics has some of the most comfortable spaces of any of the comic book rooms in Korea. 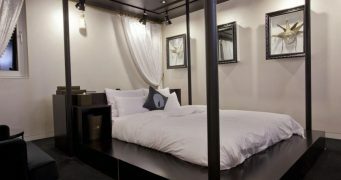 The honeycomb units are perfect for lounging back and enjoying a comic while looking out the window every now and then. They have ramyun noodles, dumplings and other snacks to munch to recreate a lazy Sunday afternoon.